Every Friday from now thru the fall, folks will gather on the green in Higganum, CT from 3:30-7 for the region’s best fresh veggies, cheeses, baked goods and other locally grown products. 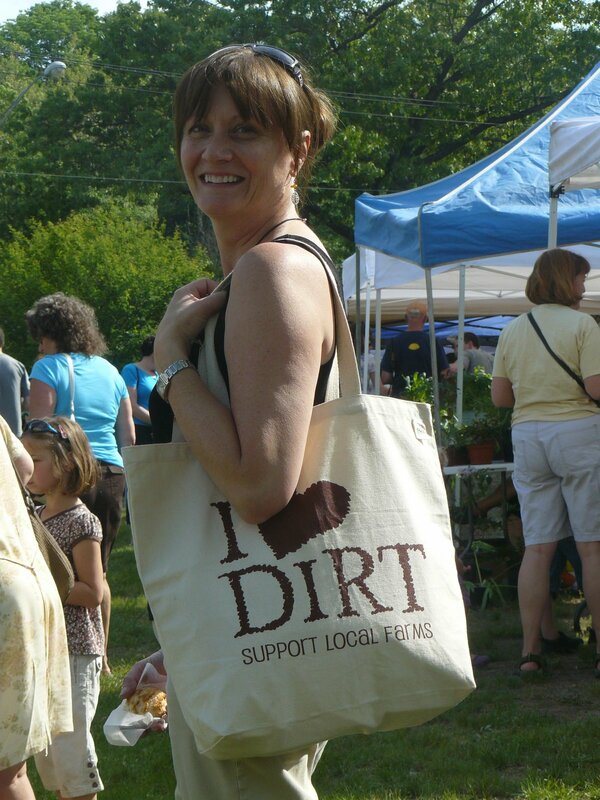 This past Friday was the inaugural day and I headed over to the market with Dianne Annelli (shown here with her “I Love Dirt” ECOBAG) to sample cheeses, meet friends and listen to a talk about organic gardening. Dianne’s one of our featured artists and she designed this bag as well as a series that you can find at ECOBAGS.com. The market, which was so popular last year that it’s back as a weekly event, will also feature live music from 7:30 on every week. My favorite vendor was the owner of Stonewall Apiary. He was friendly, informative and happy to share all sorts of great info about the benefits of locally grown honey. He also let me take his picture…smart fella. Farmer’s markets are opening across the country now. 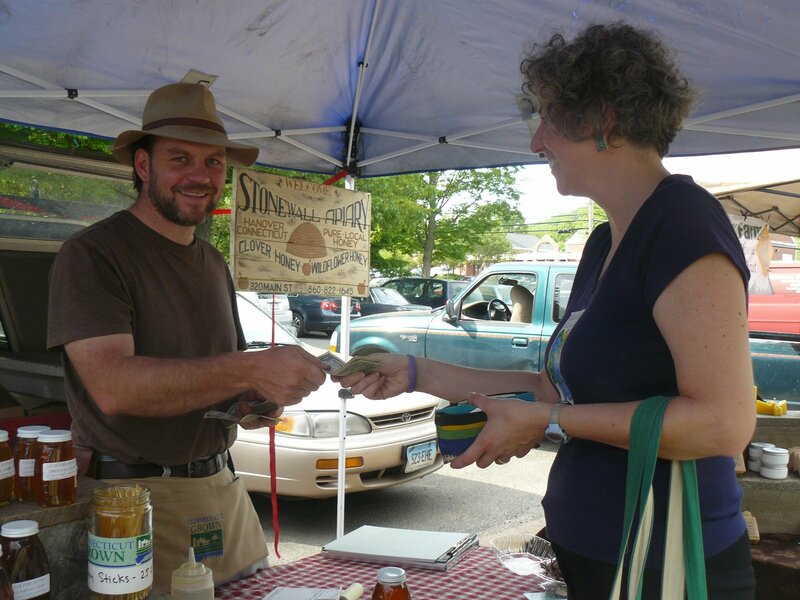 Find out more about markets at the Farmers Market Coalition and find the one near you at http://www.localharvest.org. Bon apetit! I'm glad you said that! ?